England manager Gareth Southgate called on his players to "keep making history" he targets a first World Cup semi-final appearance since 1990 when they take on Sweden in Samara. Southgate's youthful side ended England's 12-year wait to win a knockout match at a major tournament after they scraped past Colombia on penalties in the last 16. It marked the first time England had won a shootout at the World Cup in four attempts, while the 6-1 group-stage victory over Panama was their biggest World Cup win. "We came into this tournament as the least experienced team, we were one of the youngest teams in it. But we said that we're an improving side who want to make our own history," Southgate said on Friday. "We've already had our first knockout win in 12 years, our first win in a penalty shootout in a World Cup for England, the highest number of goals scored in an individual game." "We want to keep making that history," he added. "We know that it's not since 1990 we were in a World Cup semi-final. We're hugely ambitious and want to do that, but we know there's nothing in our mind other than tomorrow's game. England have a poor record against Sweden in competitive fixtures, their 3-2 victory in the group stage at Euro 2012 represents the only success in eight previous meetings. Sweden accounted for the Netherlands and Italy as part of the qualifying campaign, and topped a tough group in Russia that included holders Germany. 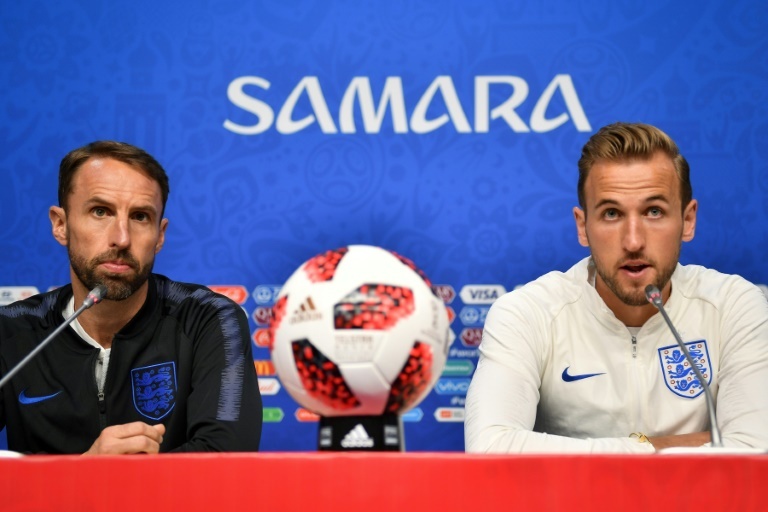 "We think they're a very strong team," Southgate said. "I've been involved in matches versus Sweden many times and the team always has a very strong identity with better players than people sometimes give them credit for. "This team is the same, you only have to look at their results. They're a very strong side and one we'll have to play really well against to beat." Southgate said Jamie Vardy was the only player there were fitness doubts over, although he sounded optimistic the Leicester City striker would recover from a groin strain. "We just need to check with Vardy again in the morning. He completed what we'd hoped he would today but slightly separate to the team," Southgate said. "We'll just check if there's any reaction to that." England captain Harry Kane is the competition's leading scorer on six goals, a tally only Brazilian legend Ronaldo has bettered since 1974. The Tottenham striker is also level with Gary Lineker's England record from the 1986 World Cup as he leads the race for the Golden Boot. "It's been a great campaign so far, for me the job is to help the team as much as possible," Kane said. "Hopefully I carry on scoring and we go far. We're not really thinking about being world champions yet. We've still got a long way to go. "This game tomorrow is going to be massive. We've done great up until now but it's another step we've got to overcome." Kane said the shootout win over Colombia had given his teammates great confidence should a similar scenario arise on Saturday. "To come through that and get through on a penalty shootout is massive and it will just give us huge belief if we're in that moment again," he said. "We've gone through it as a team and we're stronger for it. We've got that in the bank and we know we can come through the other side."